In addition to her role with URP, Janice is also an affiliate faculty member in the UW’s department of Earth and Space Sciences, having earned a Ph.D. in Atmospheric Sciences in 1991 specializing in atmosphere-ocean interaction. She has taught science at all grade levels from kindergarten through university, and more recently has focused on helping university faculty find ways to include undergraduates in their research and to integrate research into their teaching. Janice became director of URP in 2000. She is the campus representative and an elected councilor for the Council on Undergraduate Research (CUR), and an elected member of the board of governors of the National Conferences on Undergraduate Research (NCUR). Her UW responsibilities include oversight of the Mary Gates Endowment for Students and providing leadership to the Center for Experiential Learning and Diversity. 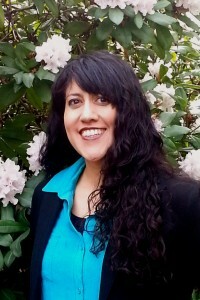 Jennifer received her Ph.D. in Educational Leadership and Policy Studies from the UW College of Education in 2004. Her dissertation research was on the history of community participation in urban school reform in Seattle during the civil rights era. Jennifer joined URP in autumn of 2005 and her prior professional positions have focused on access, retention, and assessment issues along various levels of the educational continuum-including work with McNair Scholars and Early Identification Program students at the UW. Jessica serves as Assistant Director for the Undergraduate Research Program. Her scholarship, teaching, and professional experience focus on equity, access, and success to and within post-secondary education for first generation in college, low income, and bilingual students. Jessica completed her dissertation focused on the cases of seven first generation in college Chicana/o-Latino/a students and how they navigate higher education institutions to access undergraduate research. Previously, Jessica has served in various educational roles including Executive Director for a non-profit that serviced Latino families and as a secondary mathematics teacher and coordinator for a college prep program, AVID, in La Puente, California. Jessica earned a Ph.D. in Educational Leadership and Policy Studies from the University of Washington, a Masters in Education from the University of La Verne and Bachelors in Science degree in Civil Engineering from the University of California, Berkeley. 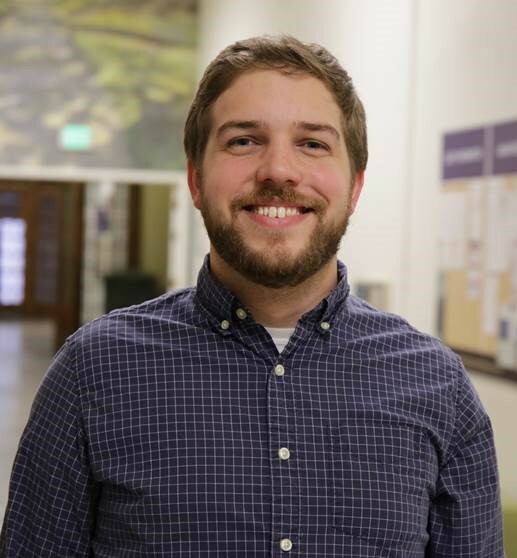 Dan recently earned his Master’s Degree in the Leadership in Higher Education Program in UW’s College of Education, and has served as the Adviser & Program Coordinator with URP since 2016. His professional background is in political organizing and non-profit administration after completing a Bachelor’s in Political Science and Economics from the University of California, Santa Barbara. Dan’s experience working with student interns at the University of Maryland led him to student affairs, and he hopes to create meaningful experiences for college students through their involvement in undergraduate research. Outside of UW, you can find Dan on the trail or next to the campfire exploring the natural beauty of the PNW. 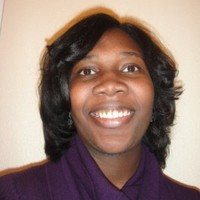 Juandalyn is a doctoral student in the Biomedical and Health Informatics program in the department of Biomedical Informatics and Medical Education. Her research focuses on infectious disease, specifically HIV, drug resistance and network-based modeling. Her work aims to use pharmacogenomic data to model HIV-drug resistance dynamics in areas of sub-Saharan Africa. Additionally, her work involves creating a computer-based simulation of an antiretroviral treatment optimization routine that assists in finding new strategies to reduce HIV-drug resistance in the population. Juandalyn’s research interests evolved from her experiences as an undergraduate conducting research on the bioremediation of acid mine drainage in coal mining sites using a predictive neural network-based decision support system. With both a love for research, and a rich background in science, technology, and math, Juandalyn hopes to help guide undergraduate students on their prospective paths at UW and beyond. Grecia is a second-year undergraduate student double majoring in Classics and Drama who enjoys exploring different interests, both within her majors and outside them. She has been working as stage manager and assistant stage manager for various plays and participated in the Undergraduate Community Based Internship Program, volunteering at El Centro de la Raza. Grecia also participated in a summer seminar for the Homer Multitext Program which seeks to present textual transmission of the Iliad in a historical framework and digital format. Grecia’s explorations will help her to discover what she wants to do for graduate school, and she enjoys helping her fellow students explore their interests too.